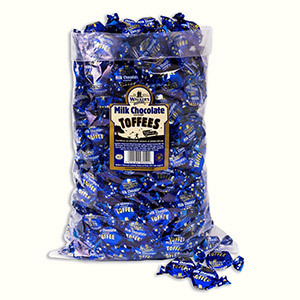 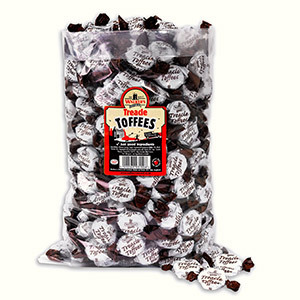 Our twist wrapped Chocolate Toffees in a 2.5kg bag. 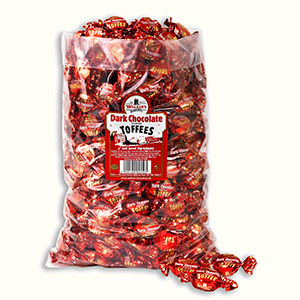 Our twist wrapped Dark Chocolate Covered Toffees in a 2.5kg bag. 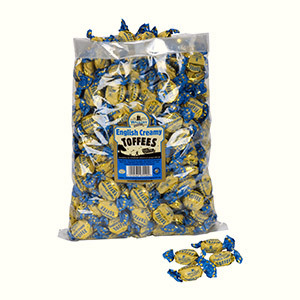 Our twist wrapped Milk Chocolate Covered Toffees in a 2.5kg bag. 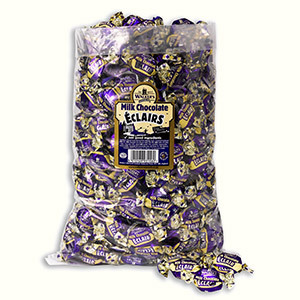 Our twist wrapped Milk Chocolate Éclairs in a 2.5kg bag. 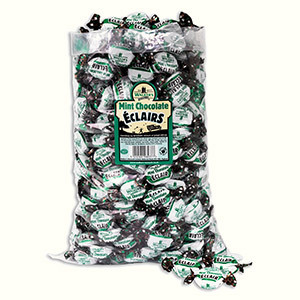 Our twist wrapped Mint Chocolate Éclairs in a 2.5kg bag. 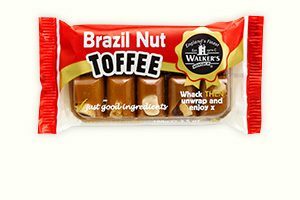 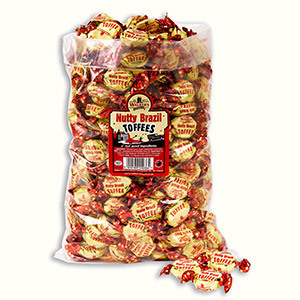 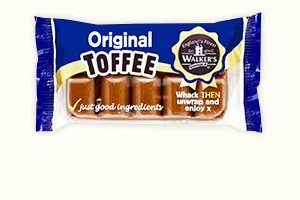 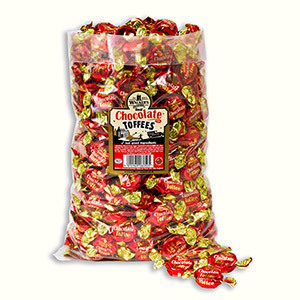 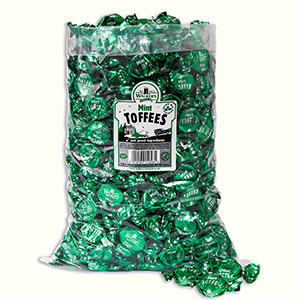 Our twist wrapped Treacle Toffees in a 2.5kg bag.